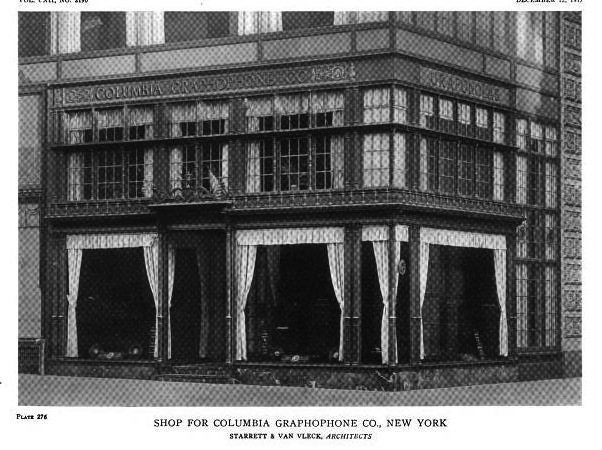 A shop for the Columbia Graphophone Company designed by Starrett & Van Vleck c. 1916 in New York City. 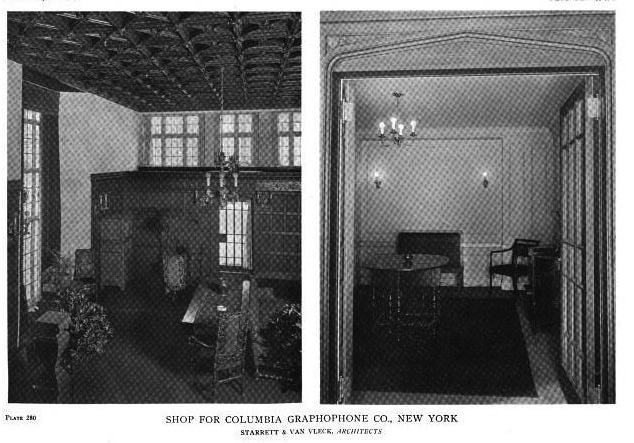 Click HERE for more on the Columbia Graphophone Company. 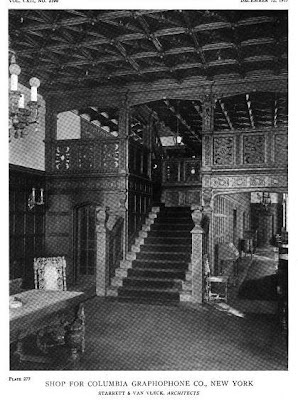 I do not know the precise location of the shop. 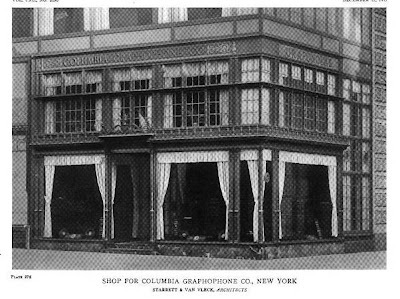 One could move right in..
After googling myself silly, I find one mention of a Columbia Gramophone Shop on Fifth Avenue in 1918. This shop would certainly make sense as a mid-town store when the neighborhood was as fashionable a shopping district as there was. 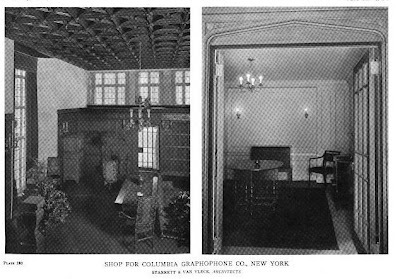 There is also mention through the thirties of a Gramophone Shop (no Columbia) through the 1930's at 18 E. 48th St.
Also worth mentioning is that of course, music stores used to occupy their own mini-districts, with Steinway, Columbia, etc. 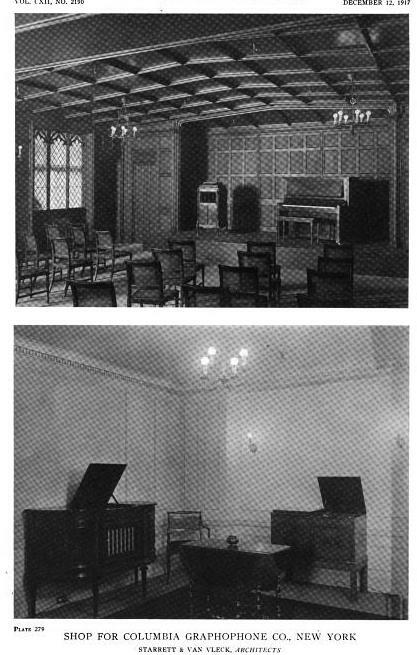 all grouped together. 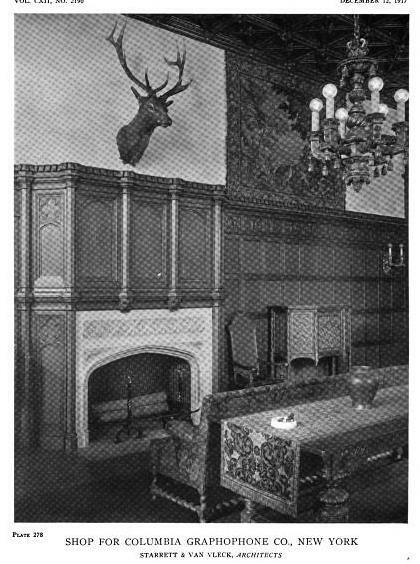 I don't know where this was in NY (although the one in Boston survived until fairly recently).